From Lauren: Today’s post comes from my friend Genevieve, a.k.a. Mama Natural. I remember watching Genevieve’s videos before I began blogging – I never would have imagined that we would be working towards the same mission in future! Since I’m not a mom, Empowered Sustenance doesn’t discuss parenting and childbirth (yet, at least!). My Nutritional Therapy Instructor specialized in natural fertility, and so my passion for natural birth was sparked three years ago in her class. I’m eager to share Genevieve’s discussion on reducing the risk of c-section, which strongly resonates with my mission of health education. I was a c-section baby. I may not be alive today if it wasn’t for this birth intervention. So I’m tremendously grateful that we have medical advancements that can save the lives of babies and mothers. But I think the U.S. has taken this intervention too far. Over 33% of US babies are now born via cesarean. In many ways, we’ve lost sight of the many benefits of natural birth. The World Health Organization recommends only a 5-15% cesarean rate, and this includes high-risk births like triplets. There are consequences to c-sections for both baby and mama. A cesarean is major abdominal surgery for the mom, and it comes with a host of side effects. But how does c-section affect the baby? I can tell you that I’ve lived with the repercussions of my c-section birth right from the very start of my life. I had a delicate gut from day one.At four weeks old, I was throwing up regularly and had loose stools. My pediatrician told my mother it could be Cystic Fibrosis. In desperation, my mom reached out to La Leche League to see if there was something in her breast milk that I could be reacting to. A wise chapter leader told her to eliminate dairy from her diet and, within 24 hours, my digestive symptoms were gone. Science now shows that babies born via cesarean section have less diversified microbiomes than vaginal birthed babies. This makes sense. As baby makes his way through his mom’s birth canal, he is swallowing and surrounded by good bacteria which help to inoculate his microbiome. While there is debate if babies are born with a sterile digestive tract, we do know that natural birth creates a more diversified gut with more strains of bacteria, promoting better overall health both short-term and long-term. In a fascinating study published in Pediatrics, Danish researchers studied the link between C-sections and immunological disorders in two million (!) children born over a period of 35 years between 1973 and 2012. Aside from the microbiome connection, there is something about the “stress” of natural birth that is actually good for the development of the child’s immune system. C-section babies have lower cortisol rates which may explain why their immune systems aren’t activated in the same way during birth. The benefits of letting birth unfold naturally are real and well documented. A new study shows that some natural birth that ends in a c-section is better than a planned c-section. Scottish researchers looked at 321,287 birth records with recent and recorded child health outcomes. They found that babies born by planned C-section had a 35% greater risk of developing Type 1 diabetes compared with babies born by emergency C-section. Cleary, the process of natural childbirth is important. Whether you’ve just come from our due date calculator or you are weeks away from delivery, here are some steps you can take to increase your odds for a natural delivery. The fact is, natural childbirth is a big commitment. In part because it goes so counter to what the Western medicalized model of birth is all about… interventions. Many of my friends liked the idea of a natural birth, but few actually had one. Interventions are easy. And there can be a great deal of pressure in a hospital environment to get them. An out-of-hospital childbirth education class is one of the most important things you can do to increase your odds of having a natural childbirth. The “out-of-hospital” part of that description is important, as the short hospital classes tend to just teach you how to be a good patient. Be confident of your body’s ability to give birth! Learn natural strategies to manage the pain of childbirth. 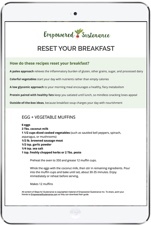 Get information on diet and exercise to condition your body for birth. Learn strategies on how to position your baby for an optimal childbirth. Understand exactly what happens during birth physiologically, helping you feel more empowered and confident. Get your partner educated alongside you so they know how to best support you. Connect with other natural mamas who have due dates right around yours. A natural birth class is one of the most important things my husband and I did to prepare ourselves for childbirth. But what if you need to have a c-section? The fact is, we can’t control our births. What we can do is take care of all our footwork and let go of the rest. This can be a tough lesson, but it’s so true and really prepares you for motherhood! I ended up needing a little Pitocin myself to push my first baby out. It was humbling and hard to accept, but I felt I did my best with the tools I had at my disposal, so I was able to let it go. Like I said earlier, interventions can and do save lives. Thank God we have c-sections for the 10-15% of mothers and babies who need them. If you do need a section, know that you can optimize your experience by opting for a Gentle Cesarean. The exciting developments around gentle cesarean can help you reap many of the benefits of natural birth. Lauren here again… I want to put in a word for Genevieve’s labor of love: her natural birth course! The Mama Natural Birth Course will empower, educate, and inspire you and your partner to deliver your baby naturally. Hosted by Genevieve and Maura Winkler, a Registered Nurse (RN) and doula, the course will equip you with all the information, tools, and support you need to birth your baby without unnecessary medical interventions. 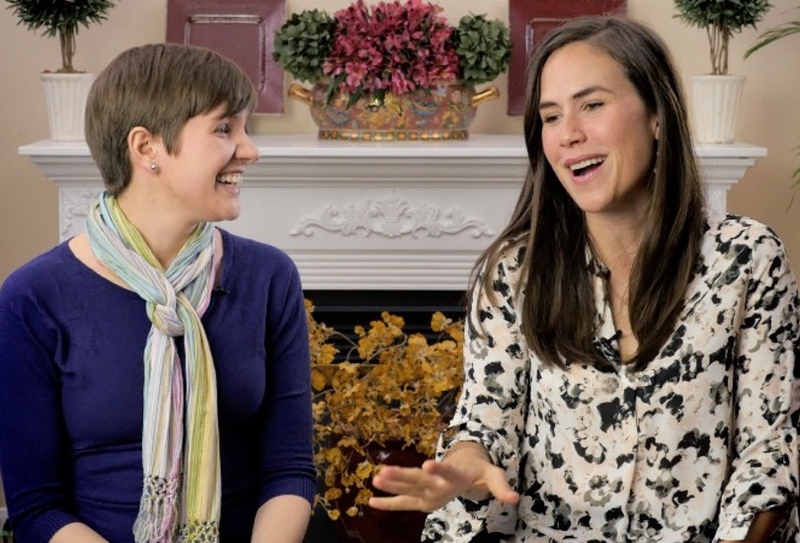 The Mama Natural Birth Course is an eight-week online video course that walks you through the entire process of preparing for a natural childbirth. It covers everything from pregnancy nutrition, to exercises for delivery preparation, to choosing a birth team, and much, much more. 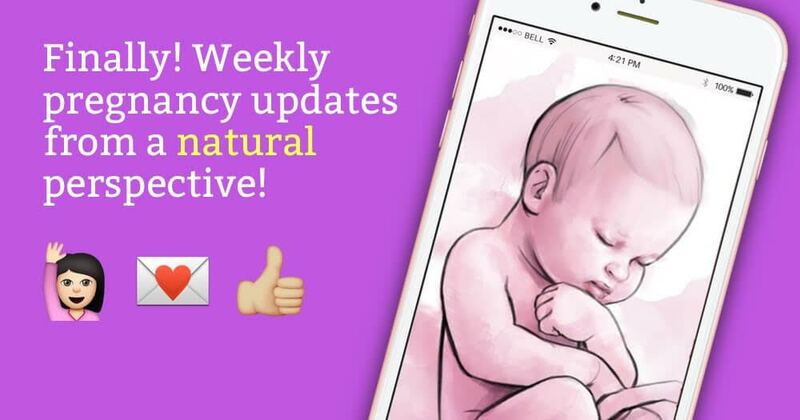 Genevieve and her team of midwives and doulas created the first week-by-week email series to support you on a more natural pregnancy. The series shows you what’s up with baby, mama, and more each week. You’ll discover natural remedies for various pregnancy symptoms and prepare for your best and most natural birth. Click here to sign up for the Natural Birth Email Series, for free. How about you? Will you try for a natural birth? Were you born naturally or via cesarean section? I had three natural births. Education and confidence are definitely key. Even if you have excellent labor support (like a midwife and/or doula) during labor is not the time to be learning about natural childbirth for the first time! Genevieve, what are your thoughts on how whether or not a child was breastfed factors into the above stats about side effects of c-section? I ask because I tend to believe that breastfeeding is at the heart of a lot of those issues and babies born by c-section are less likely to be breastfed. Did any of the studies take this complicating factor into account? There is recent data out there showing that the bacteria in the gut of an exclusively breastfed baby is VASTLY different from a baby who is receiving even a tiny bit of formula. I personally think that a lot of emphasis these days is placed on what people are doing wrong nutritionally CURRENTLY without taking into account what their past was. Obviously, we can’t do anything now about how we were fed as babies so people probably feel it isn’t worth the time to even discuss. However, I can’t help but notice that I know a lot of people who swear up and down that a person shouldn’t eat X, Y, or Z because not eating those helped them so much when I basically have never had an issue with anything. One friend in particular comes to mind–she seems to have a very sensitive gut and is constantly swearing against one food or another like it might as well be poison. However, she wouldn’t think anything of giving her baby formula, sees it as simply a choice. But SHE was formula-fed. My point being that I think there is a lot more to do with digestive issues than your current diet and some of it just simply can’t be fixed at this point. I think people don’t even bother to address the issue because it’s sensitive too. As a currently breastfeeding mum I come across articles on both sides of the argument where breastfeeders feel like you can’t say anything against formula feeding and formula feeders who claim it’s the opposite and that it’s breastfeeding that is so widely protected. But I truly think it is formula. Every pro-breastfeeding statement has to include the caveat that we’re grateful for formula or else many babies would die (which is completely true). But no one is willing to just flat out say that it’s what you should do or must do to avoid your baby having certain problems. We leave it as a choice to be politically correct and I personally operate the same way in real life. We don’t want new mums to feel guilty (and there is way too much stress during this time to do that) and I don’t think there is any good way to do it differently, but if I’m being honest, I don’t think we are harsh enough about the difference of formula and breastmilk. And we know that formula fed babies have more health risks than breastfed babies. In fact, some lactation consultants believe that breastfeeding for those first 6 months is more important than a vaginal birth. Your child will be blessed! Very wise of you to educated yourself now. Wishing you a blissful birth. I notice that juvenile rheumatoid arthritis is repeated twice-was one of them supposed to be a different disease? I was a vaginal birth myself, not sure if it was a natural birth or not. I had an all natural birth with my son. He was born at home with the assistance of my phenomenal midwife. It was a beautiful birth and a warm welcome for my son.